Coffee lovers and whiskey fans can double their bliss with Black Twist – a new Hard Coffee created for the cross-over bar and coffeehouse culture. 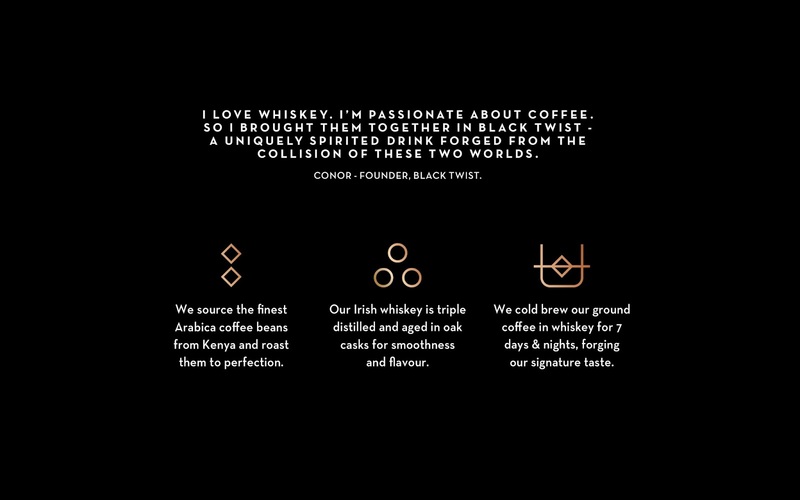 Coffee and whiskey are two categories growing in popularity among millennials, with cold-brew coffee one of the fastest growing innovations. 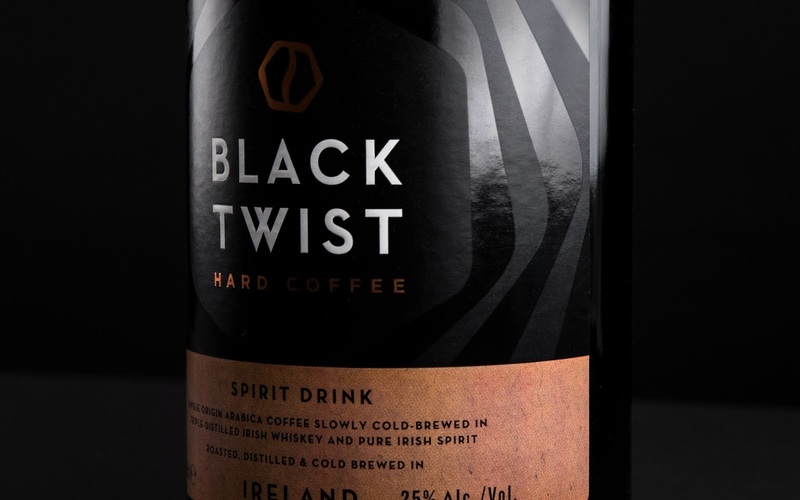 A rich and complex combination of both these worlds, Black Twist is made with 100% natural ingredients, namely Arabica coffee slowly cold-brewed in triple-distilled single malt Irish whiskey and Irish spirit. 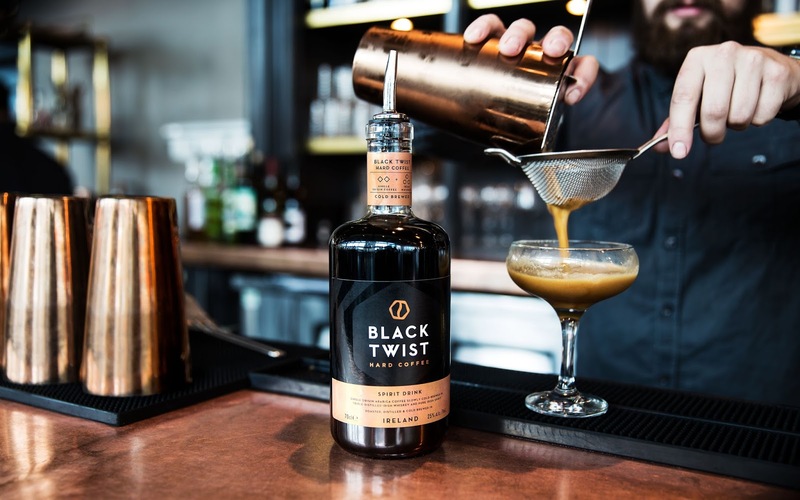 The result is a premium crafted spirit drink with 25% ABV, aimed at contemporary bars, restaurants, gastropubs and the millennial consumers that enjoy them. 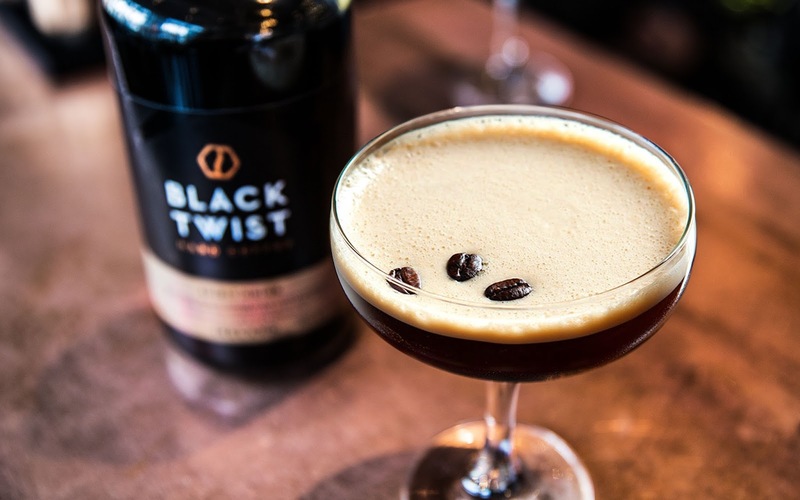 Black Twist lives up to its name, adding a darkly delicious twist to anything from frappés and hot chocolates to killer coffee cocktails, either hot or cold. It tastes great straight and on the rocks too. 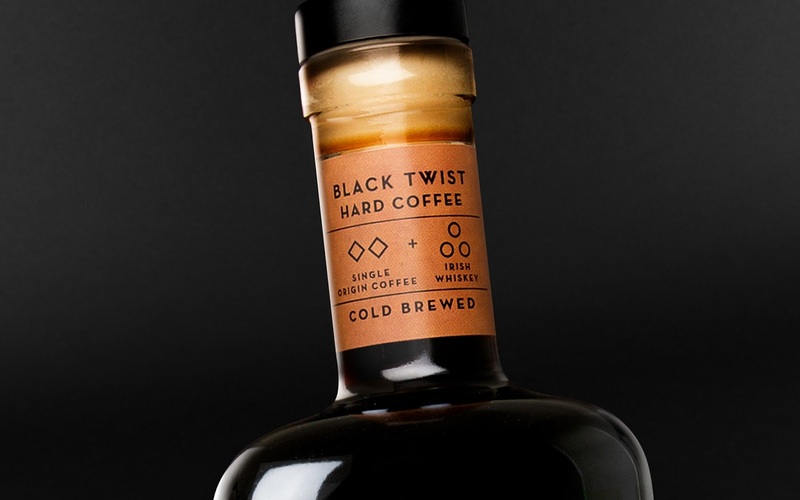 Tasked with creating the brand identity, Robot Food came up with the memorable tagline, 'Hard coffee', to differentiate the product from more traditional coffee liqueurs. 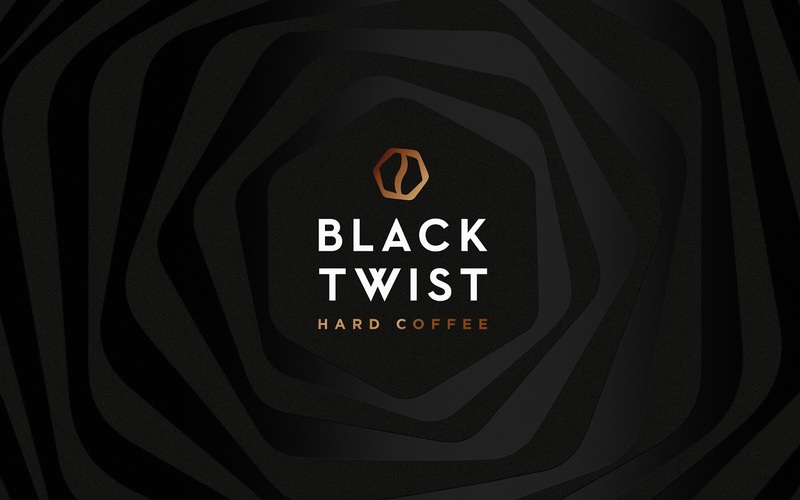 The team then created a distinctive white logo against a striking black and copper design with a slick, subtle 'twist' pattern. 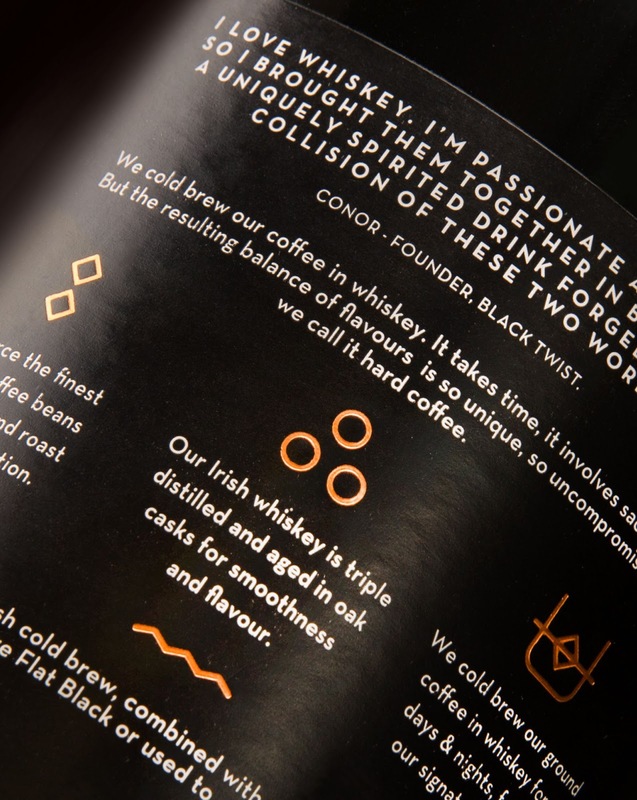 The 'crafted' texture in the cardboard-effect label evokes artisanal cues, and clear pack messages and icons capture the Irish provenance and tell the tale of the two key ingredients, echoed in the punchy brand story. 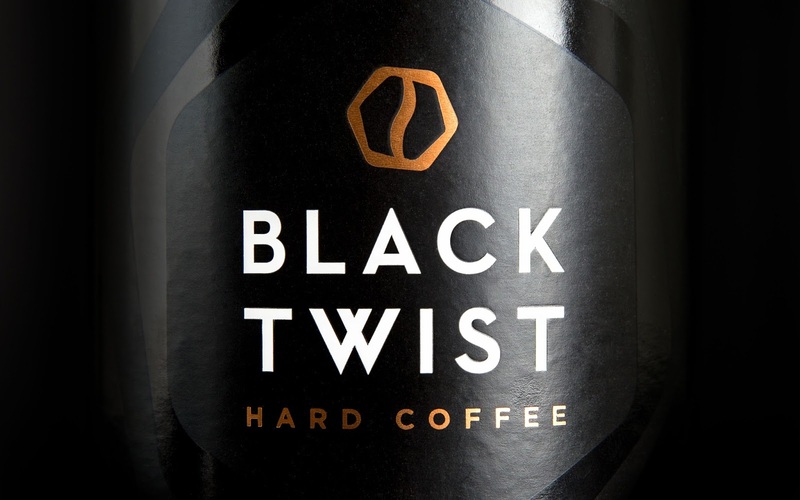 The distinctive bottle shape with its hard lines and broad shoulders completes the look. 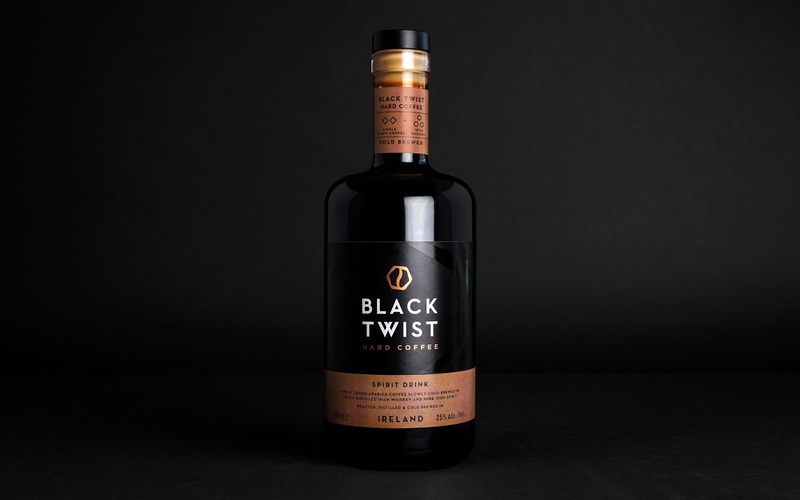 Conor Coughlan, Black Twist founder, said, "Being a premium craft spirit, we needed an identity that combined stylish impact with subtlety. Balance was important. 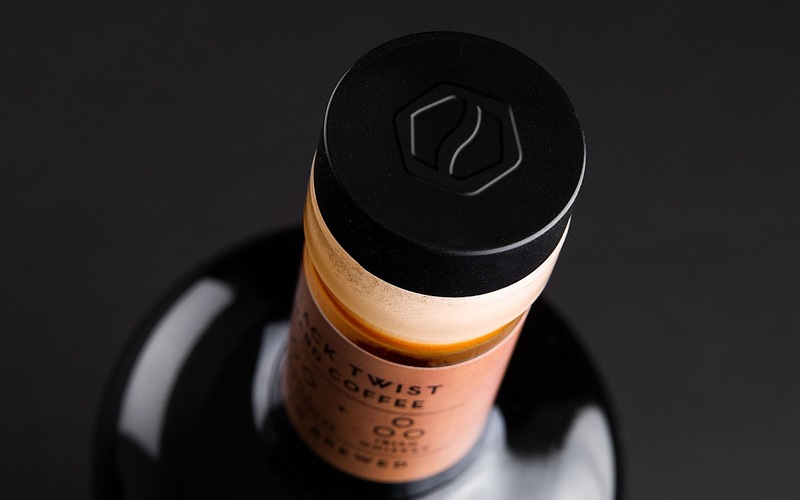 Robot Food gave us a great-looking identity, and our bottles look right at home in bars, pubs and coffeehouses, with more than enough impact to turn heads and create desire." 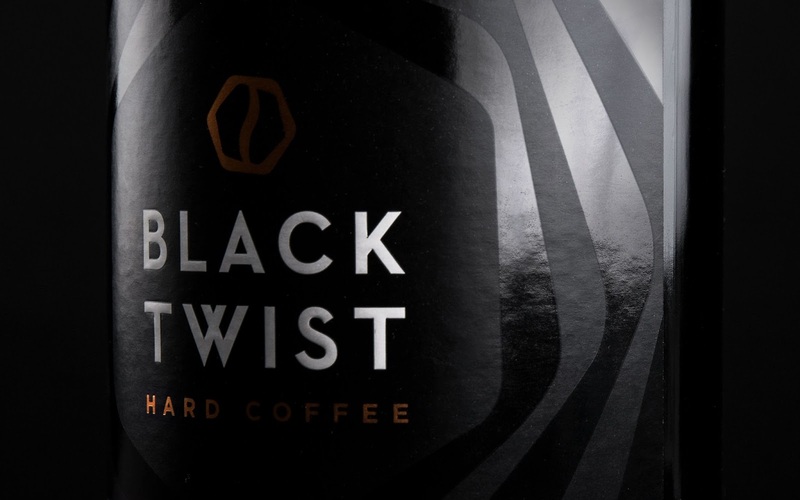 Martin Widdowfield, Robot Food's Creative Director, said, "Black Twist packs a punch in terms of flavour, versatility and with its innovative attitude. 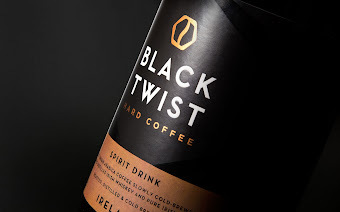 By using strong colourways and a bold visual language, we succeeded in communicating the product's craft and intensity, and made sure there was plenty of distance between Black Twist and the 'sweeter', less 'intense' products on the market."